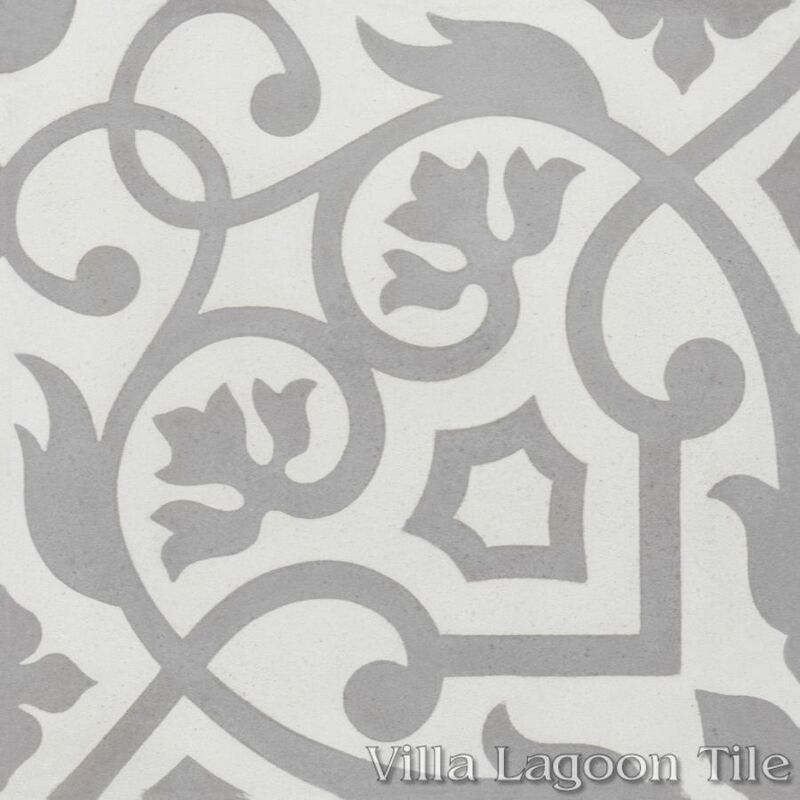 This is an Original VLT 2-color 8" cement tile, using the grays Putty and Pebble from the South Beach Palette. 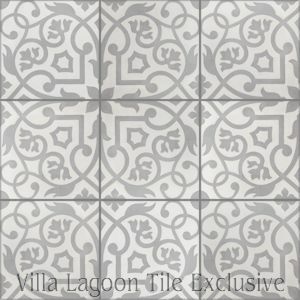 This pattern is exclusive to Villa Lagoon Tile. 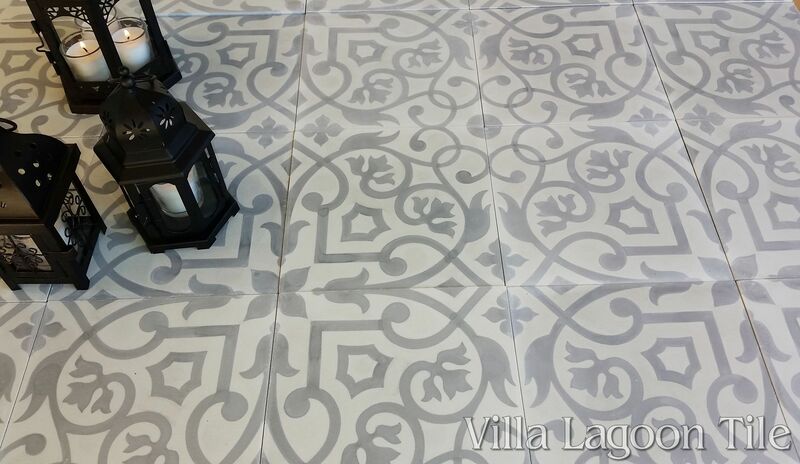 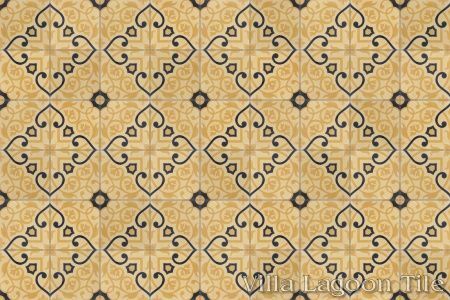 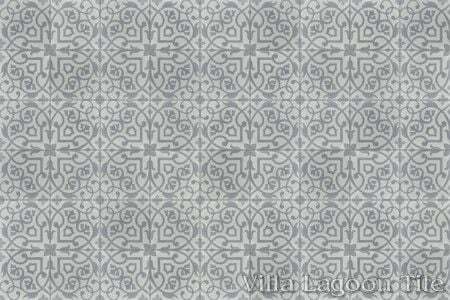 This original Villa Lagoon Tile pattern plays on some traditional motifs in encaustic cement tile. 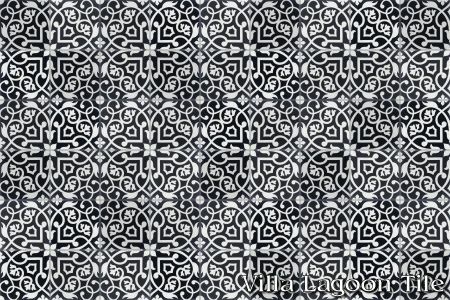 Floral vines intertwine around crosses and shields, with other patterns emerging such as hearts and diamonds. 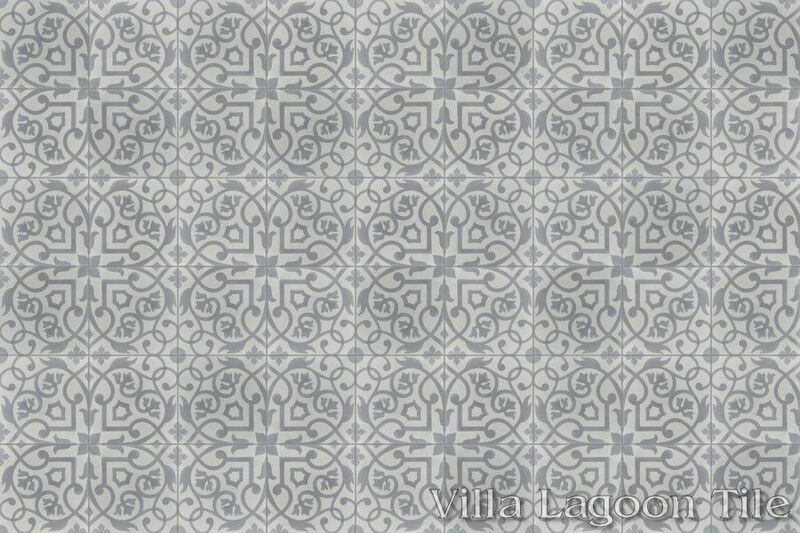 We named this colorway "Carrara" for the Carrara marble, which has similar colors.